Wednesday, October 17th 5:30-7:30 p.m.
Are you ready for a scary fun time? Come and learn a few tricks before you treat! We’ll be teaching you to craft your own plush pumpkins and how to put on your best face (green or otherwise) for the Halloween season. 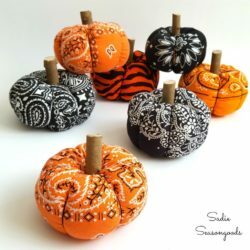 Supplies are provided, just follow along as we create soft, decorative pumpkins that won’t rot between Halloween seasons! Learn to apply professional looking face paint from our live demonstration. 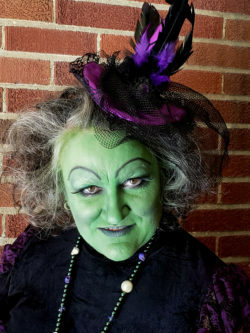 Joining us for the Witches Tea on October 29th? This demo will be perfect for all you Wicked Witch of the West Wannabe’s! If you are interested in this event you may be interested our Halloween themed Arts & Carafes painting event or the Witches Tea. Price is $10 per person. Reservations are required. Please call 816-233-7003 or register via PayPal today.